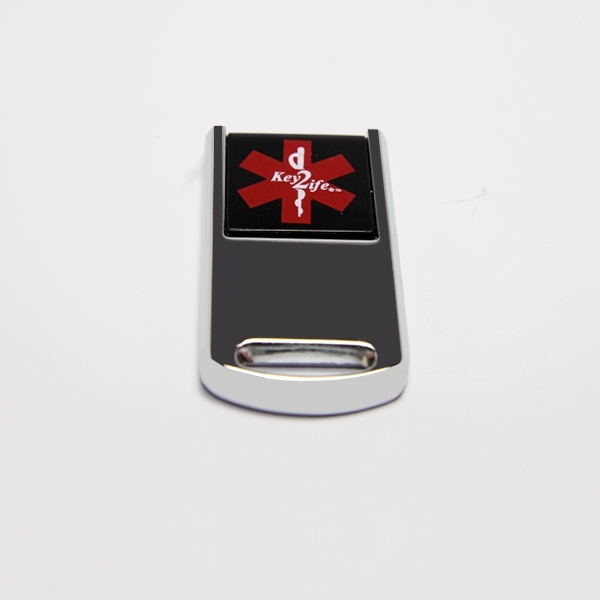 Dimensions: 13/8" X 3/4" X 1/8"
This Mini Flip Dog Tag EMR Medi-Chip contains our Key 2 Life® (EMR) USB Medi-Chip that is 100% Waterproof. 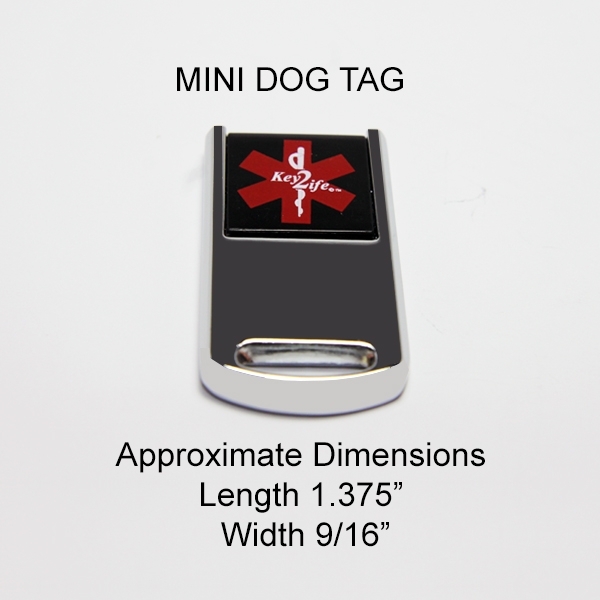 The Mini Flip Dog Tag flips open and close as needed. 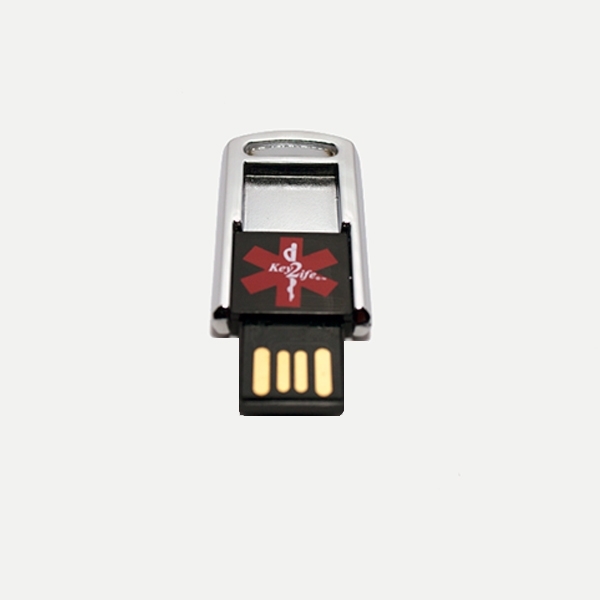 This Medi-Chip can be locked in the closed position when not in use. 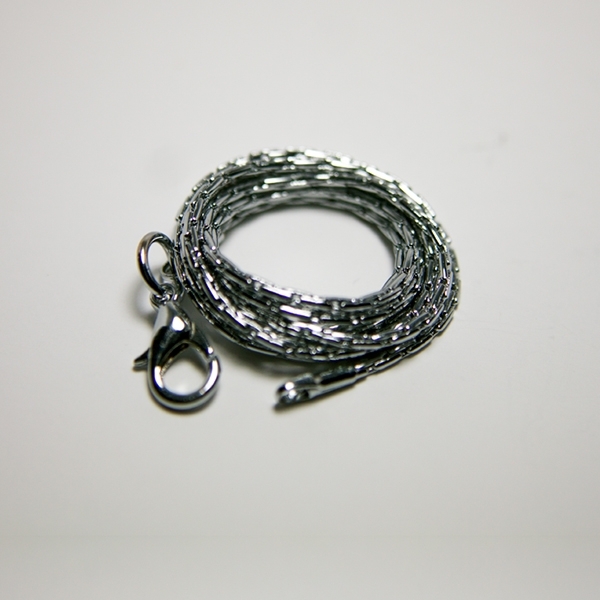 The Mini Flip Dog Tag can be attached to a key ring if an individual prefers not to wear the Mini Flip Dog Tag with the included 24" Silver Chain provided.